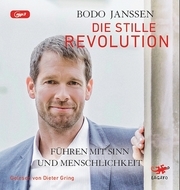 Bodo Janssen, geboren 1974, studierte BWL und Sinologie und stieg im Anschluss ins elterliche Hotelunternehmen ein. Als sein Vater bei einem Flugzeugabsturz ums Leben kam, übernahm er die Führung der Hotelkette. Nachdem er bei einer Mitarbeiterbefragung vernichtende Ergebnisse erhalten hatte, beschloss er, für eineinhalb Jahre ins Kloster zu gehen. 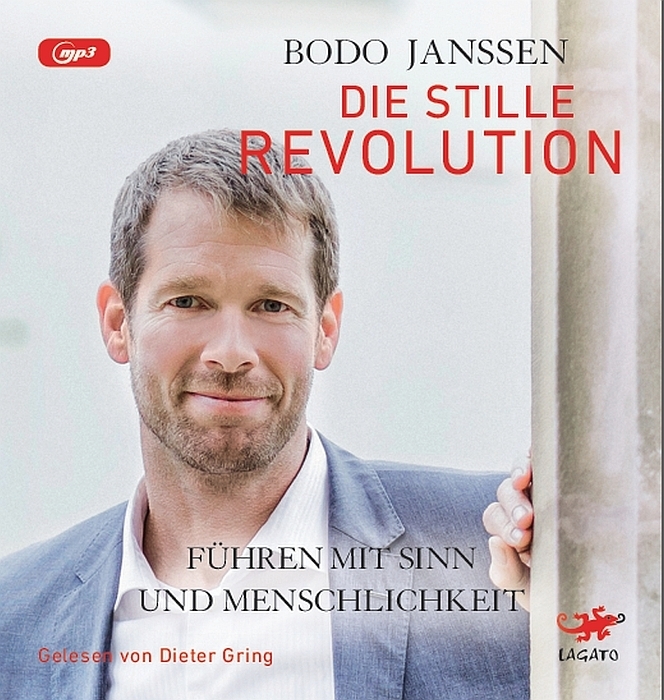 Nach dieser Zeit der inneren Einkehr leitete Bodo Janssen in seinem Unternehmen einen Paradigmenwechsel ein mit dem Ziel, eine authentische Unternehmenskultur zu entwickeln, in der jeder Mitarbeiter im Unternehmen das leben kann, was ihm als Mensch wichtig ist. 807280807097LangtextBritten's War Requiem: 50th anniversary in Coventry. 2012 brings the 50th anniversary of the premiere of Britten's War Requiem, one of the most powerful pacifist statements in music. The first performance took place in 1962 in the newly consecrated Coventry Cathedral, built alongside the ruins of the old cathedral, left as a sombre reminder of the wartime bombings. On 30 May 2012, 50 years to the day, Britten's masterpiece returns to the cathedral, performed as at the premiere by the City of Birmingham Symphony Orchestra and vocal soloists from three once warring nations. The anniversary performance is conducted by the CBSO's Music Director, Andris Nelsons, featuring the Canadian soprano Erin Wall, English tenor Mark Padmore singing the role written for Peter Pears, and German baritone Hanno Müller-Brachmann. Choral forces are provided by the CBSO Chorus and Youth Chorus. Benjamin Britten (1913-1976) was commissioned to compose a work for the inauguration in 1962 of Coventry's new cathedral, adjoining the old cathedral that had been bombed and nearly completely destroyed by the German "Luftwaffe" at the beginning of World War II in November 1940. The commission gave Britten complete freedom to choose the type of music to compose. He conceived of setting the traditional Latin Mass for the Dead interwoven with nine poems by the English poet Wilfred Owen, who had been killed in World War I. It has become one of the defining masterpieces of the twentieth century: a devastating meditation on the pity of war that is every bit as relevant today.